The U.S. Environmental Protection Agency (EPA) has developed a number of overlapping ways that a waste might be defined as hazardous – lists of chemical constituents that render a waste hazardous (at least when present above specified concentrations), lists of processes with wastes that are presumed hazardous (given chemical inputs and methods of processing), and technical tests that can be applied to wastes (where a test result above a specified threshold means “hazardous”). EPA has just proposed a targeted set of rules for defining and managing hazardous waste pharmaceuticals generated by specified “healthcare” facilities. EPA provides two primary explanations for this rulemaking. First, it addresses the difficulty in applying EPA’s standard industry-oriented RCRA hazardous waste regulations to the management of hazardous waste pharmaceuticals generated at healthcare facilities and at pharmaceutical reverse distributors who process waste pharmaceuticals before disposal. Second, it responds to studies documenting the presence of various pharmaceutical active ingredients and metabolic by-products in surface waters and groundwater in the United States (EPA estimates that over 6,400 tons of hazardous waste pharmaceuticals are flushed annually). Public comments are due by November 24, 2015, after which EPA will decide whether to adopt final regulations. Readers should note that many of the facilities targeted by this proposal also comply with state medical waste management requirements (which I summarized here), and will have to coordinated their activities; EPA acknowledges these potential overlaps but does nothing to accommodate them within this proposal. Provides preventative, diagnostic, therapeutic, rehabilitative, maintenance or palliative care, and counseling, service, assessment or procedures with respect to the physical or mental condition, or functional status, of a human or animal or that affects the structure or function of the human or animal body. 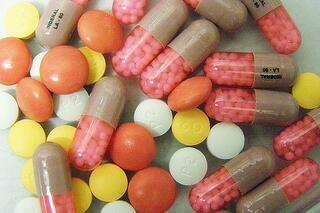 Sells or dispenses over-the-counter or prescription pharmaceuticals. Pharmaceutical Reverse Distributors, which means any person that receives and accumulates potentially creditable hazardous waste pharmaceuticals in order to facilitate or verify manufacturer’s credit. These help healthcare facilities calculate and receive credit from pharmaceutical manufacturers when healthcare facilities have unused pharmaceuticals that they no longer need – “creditable pharmaceuticals.” The reverse distributor reviews the unused pharmaceuticals received and works with the pharmaceutical manufacturer to facilitate providing manufacturer credit back to the healthcare facility. Then the pharmaceutical reverse distributor sends the waste pharmaceuticals for disposal. Treatment, Storage, and Disposal (TSD) facilities that manage hazardous waste pharmaceuticals. Note that these rules do not apply to pharmaceutical manufacturing, production facilities or other generators of hazardous waste pharmaceuticals. Nor do they apply to pharmaceutical wastes generated at other types of locations – such as employee clinics at industrial facilities, for example. Within this broad definition, a hazardous waste pharmaceutical is one that qualifies as a “solid waste” under RCRA, and either is listed by EPA or exhibits a hazardous waste characteristic (e.g., toxicity) according to one of EPA’s established testing methods. A waste pharmaceutical that does not meet (either prong of) this definition is a non-hazardous waste pharmaceutical. EPA believes this broad definition will benefit the healthcare sector, which has struggled with complying with the industry-oriented framework of the RCRA regulations. However, readers will note that facilities covered by these rules would still be required to undertake hazardous waste determinations. In part in order to facilitate this process, EPA has established a “Hazardous Waste Pharmaceuticals Wiki” and encourages entities to post information. EPA’s regulations presently apply without variation to waste pharmaceuticals generated at healthcare facilities, even though these activities present significantly different challenges. Pharmaceutical waste is typically generated at a large number of points in relatively small quantities across a healthcare facility (nursing stations, pharmacies and patient, emergency and operating rooms). Furthermore, these wastes often consist of hundreds of different types of pharmaceutical wastes, changing continuously with patients and procedures. These exacerbate the complexity of waste determinations, generator status determination -- large quantity generator (LQG), small quantity generator (SQG), and/or conditionally exempt small quantity generator (CESQG) -- and associated waste accumulation limits and record keeping. A facility will not become a LQG just because it generates more than 1 kg of acute hazardous waste pharmaceuticals in a month (which is the requirement for most acute hazardous wastes). A facility will not have to comply with satellite accumulation area regulations (which reflect scattered generation at complex facilities, but assume that generation patterns in each satellite area are fairly constant). A facility will not need to specify individual hazardous waste codes on manifests when it ships these wastes. A facility will be able to accumulate hazardous waste pharmaceuticals on site without a RCRA permit for 365 days (rather than 90 for LQGs or 180 for SQGs). Reverse distributors will be required to meet trining requirements based on whether they are LQGs, SQGs or CESQGs, but healthcare facilities will have less exhaustive training requirements than those applicable to LQGs. Additionally, the proposed standards are tailored to how pharmaceutical reverse distributors operate and will replace the standard generator regulations for the accumulation and management of hazardous waste pharmaceuticals at pharmaceutical reverse distributors. Does each facility manage pharmaceutical wastes in compliance with existing RCRA requirements? Is each facility prepared to convert its waste management practices to meet the proposed requirements, if those are finalized?